A half-cent increase in the state sales and use tax would pay for a raft of programs and tax credits meant to improve the quality of the state’s workforce under a bill heard by the Revenue Committee Feb. 1. 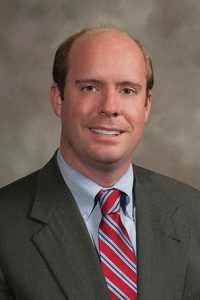 LB1108, introduced by Omaha Sen. Burke Harr, would increase the state sales and use tax from 5.5 percent to 6 percent between 2019 and 2023. It would use the additional revenue to fund foundation aid for public schools, infrastructure programs, training grants and other programs. The bill also would create several new tax credits for employers. Harr said LB1108 is meant to catalyze the state’s economic growth by investing in its workforce—from early childhood education to job retraining in later life. The state’s low unemployment rate and slow growth indicate a misalignment between available jobs and workers’ skills, he said, and fixing that problem is worth a temporary tax increase. LB1108 would create three income tax credits for employers: a job training tax credit, a Nebraska intern tax credit and a post-training tax credit. To qualify for the job training credit, an employer would agree to train an employee who works at least 35 hours a week for at least six months in a high-needs job in fields including science, technology and teaching. The employee also would have to receive 40 to 160 hours of job training and would have to be paid a wage equal to at least 240 percent of the federal poverty level—currently $29,000—and receive health benefits. Total credits would be limited to $5 million per year. For an employer to receive the intern tax credit, students must be paid at least the state minimum wage and complete the internship in less than a year. Total credits would be limited to $7.5 million per year. The post-training tax credit would go to employers who hire a student completing an internship or an employee completing job training. Among other qualifications, the employer must pay the employee a wage of at least 300 percent of the federal poverty level—currently $36,000—with health benefits. Total credits would be limited to $10 million per year. The bill also would provide businesses an income tax credit for expenses incurred while researching and developing jobs and technology in partnership with a nonprofit or postsecondary education institution. The credit would be limited to $1 million per partnership, and total credits would be limited to $31.5 million per year. LB1108 would provide $6 million for grants to community colleges to develop and implement adult education and remedial education programs as well as workforce training for specific occupations. It would direct $1 million to a fund that would provide grants to programs that expose seventh- and eighth-grade students to the manufacturing and information technology industries. The bill would remove the current sunset date for the School Readiness Tax Credit Act and would increase the amount of credits available to child care and education providers and their staff members from $5 million to $10 million per year. Additional sales tax revenue would be used to provide foundation aid to all Nebraska school districts. The state Department of Revenue estimates that the bill would provide $61.4 million in foundation aid in FY2018-19. That would increase to $110 million by FY2023-24. Finally, LB1108 would direct one half of 1 percent of sales tax revenue derived from the sale or lease of motor vehicles, trailers and semitrailers to the state’s transportation infrastructure bank fund and to a new fund to provide grants for light rail projects. Richard Schmeling, speaking on behalf of ProRail Nebraska and Citizens for Improved Transit, testified in support of the bill, particularly its increased funding of rail projects. He said improving Nebraska’s public transportation system would benefit the state’s economy by retaining and attracting more young people. “[Millennials] want to live where there’s a good public transportation system, and we don’t have that in Nebraska,” Schmeling said. 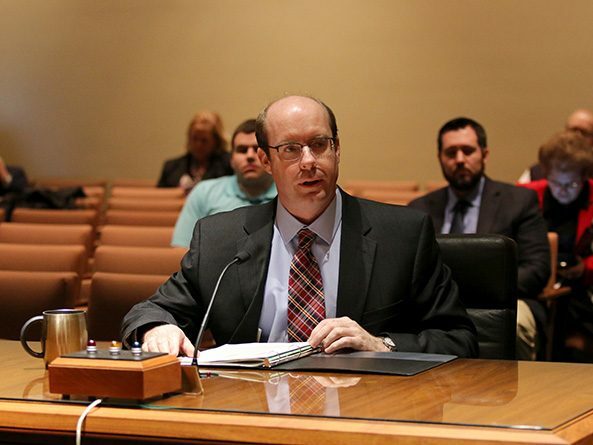 Jon Habben, executive director of the Nebraska Rural Community Schools Association, also testified in support of the bill, saying that the proposed workforce development programs would benefit rural Nebraska, which faces population loss and stagnant school enrollments. He said the bill’s proposed foundation aid particularly would benefit rural school districts, which have lost state equalization aid over the past decade. Sarah Moylan, senior director of talent at the Greater Omaha Chamber of Commerce, provided neutral testimony on the bill. She said the chamber cannot support the sales tax increase proposed under LB1108, but it enthusiastically supports workforce development.